It’s finally time! 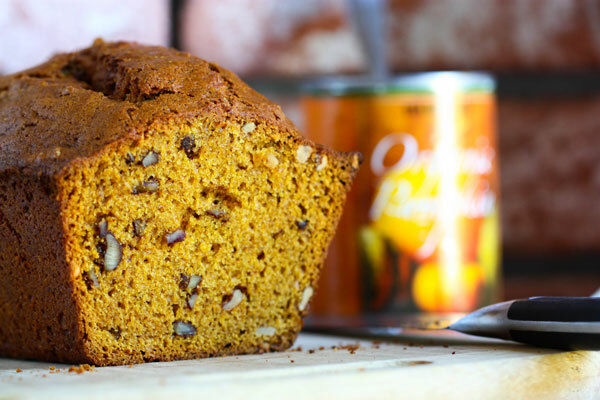 Time for pumpkin bread, that is. 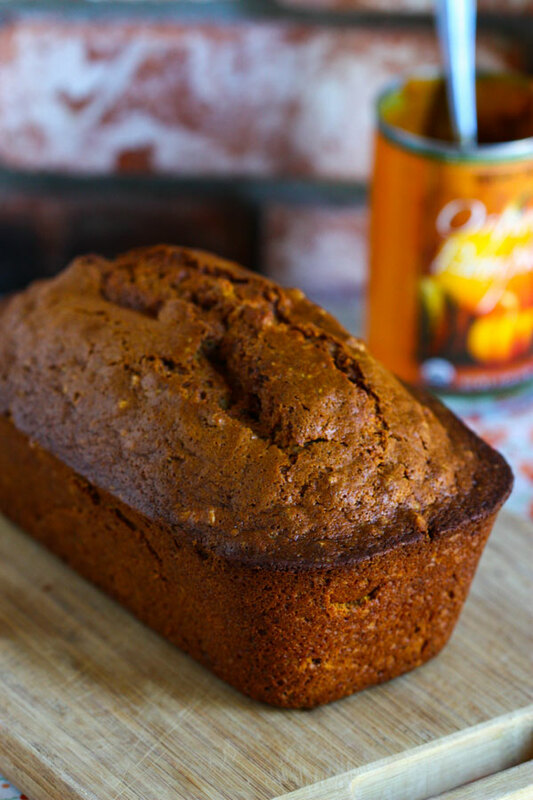 The first cans of pumpkin puree have been sprouting up all over grocery stores this past week, and I can’t think of a more perfect way to celebrate their arrival than baking up a batch of this moist, delicious pumpkin bread! This recipe belongs to my best friend’s mom and is one I have practically grown up eating. No matter how many different versions of pumpkin bread I taste, this one will always remain my utmost favorite. Why? For me, it’s all about the crust. This particular version has the most perfect crunchy crust with a moist walnut-studded center. It freezes beautifully, too, which works out because this recipe makes enough for two loaves. Freeze one or give one as a gift to a friend — they’ll love it! Welcome back, pumpkin, we’ve missed you! 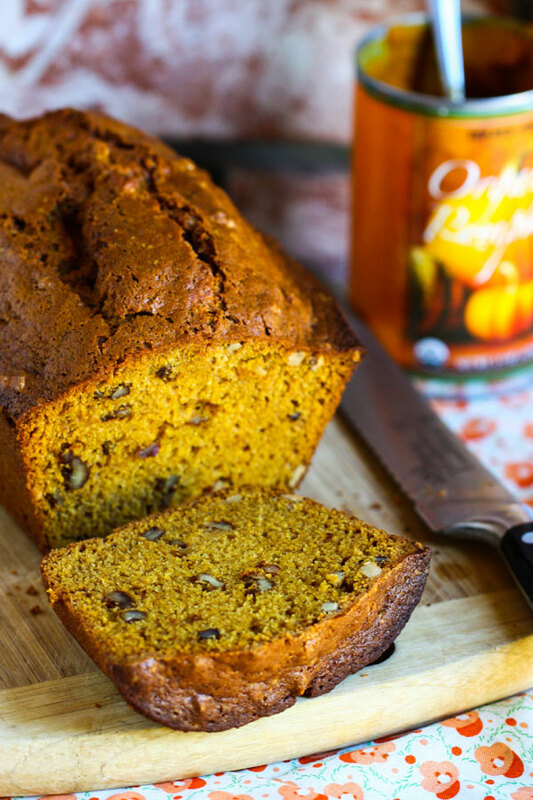 Food blogger Jenna Weber welcomes the arrival of pumpkins by making her favorite recipe for pumpkin bread in a full post on the Fresh Tastes blog. 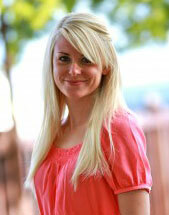 Beat together the oil, eggs, pumpkin puree, sugar and water in a large bowl until well combined. In another bowl, whisk together the dry ingredients: flour, salt, baking powder, baking soda, cinnamon, nutmeg, allspice, ground cloves and ground ginger. Add the wet ingredients to the dry ingredients and mix well. Add the walnuts at the end, making sure to get all the ingredients incorporated from the bottom of the bowl. Divide the batter equally between two greased 9 x 5” loaf pans. Bake loaves for 60-80 minutes, until loaves are golden brown and baked through in the center. Let cool for five minutes in the pan then invert onto a cooling rack and cool completely before slicing.